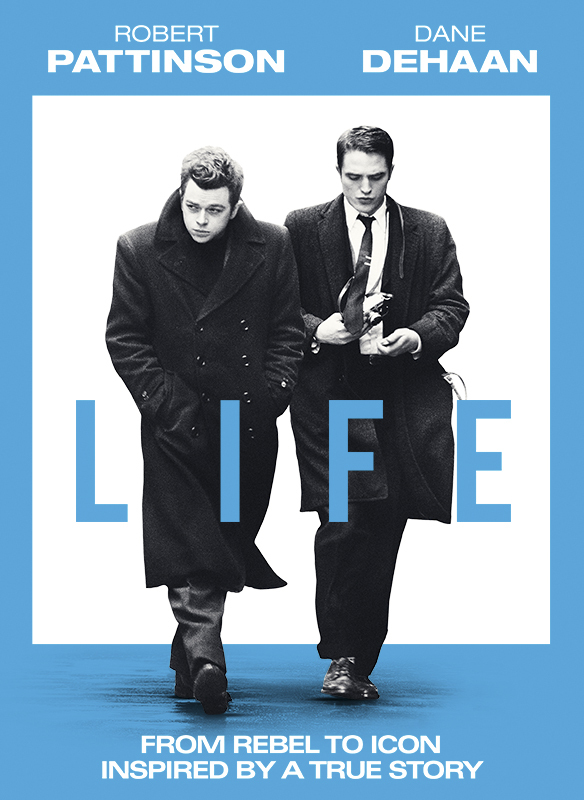 Dennis Stock (Robert Pattinson, The Twilight Saga, Cosmopolis, Maps to the Stars) was only 26 when he was commissioned to photograph James Dean (Dane DeHaan, The Amazing Spider-Man 2, The Place Beyond the Pines), Hollywood’s rebellious free spirit on the verge of superstardom, for LIFE Magazine in 1955. In the months leading up to the premiere of Dean’s infamous role in East of Eden and filming Rebel Without a Cause, Stock and Dean took a photographic journey across the United States, from Los Angeles to New York and finally to Dean’s childhood farmhouse in Indiana. And while Stock thought he was capturing a young actor in the instant before he became a household name, in fact he documented the last moments of intimacy and simplicity that James Dean ever knew. From the Academy Award®-winning producers of The King’s Speech and acclaimed director Anton Corbijn (Control, A Most Wanted Man, The American), LIFE is inspired by the true story of the friendship between Stock and Dean, a bond that would change both their lives and provide the world with some of the most iconic images of the age.